Horse racing in the UK is very popular. It can also be just as exciting to bet as horse racing in the US. The bettor must understand that the terminology used to describe races in the UK is different from that in the States. Learning the correct names for different types of races will come in handy when the bettor is making selections at an online racebook. Just like in the US there are many important stakes races. These races are open to the best horses in the country, and they can be wonderful betting opportunities. Like claiming events, stakes also have a hierarchy. There are stakes for different talent levels. One of these is the Listed Race. The British Horse Racing Authority is responsible for classifications when it comes to the talent of horses that compete at the stakes level. In contrast, there is no single governing body for horse racing in the United States. Each racing circuit in the US is responsible for determining its own stakes schedule and creating the rules under which a horse may enter an event. The BHRA oversees all such matters in the UK, and many believe this lends itself to races that are more competitive and fair. Flat racing classifications are topped by Group events. A Group One race would be comparable to the Triple Crown series of racing events in the US. Next comes Group Two and Group Three. You may compare this to Grade 1, Grade 2, and Grade 3 in the US. These five races are considered to be Britain’s Classic events. They are entered by the most talented horses that are represented by top trainers. A horse that were to win multiple events in this series would be considered in the same category as a Triple Crown champion. Many horses that compete in these events sometimes journey to the US for the Breeders’ Cup World Championships. Horses that do not show the talent required to participate in Group One events may still enter Group Two or Group Three contests. And for those who are not qualified to participate in these races, there is the Listed Race. Just below the graded stakes level in the United States is the handicap level. These are races which offer a sizable amount of purse money, but ones that are generally open to talented horses that cannot win a graded stakes. For example, each year the Kentucky Derby is only open to the 20 top three-year-old horses in the nation. A horse that doesn’t make the cut can still be a very talented runner, too talented to compete in allowance or stakes events. The solution is the handicap or overnight stakes race. All racing circuits have their own stakes schedule. Tracks can create and present their own stakes races for exceptional horses. It is no different in the UK. The Listed Race is the UK version of a handicap or overnight stakes. Listed Races may be either type of race. If the Listed Race is a handicap, the track handicapper will assign the weights to all of the horses that are entered in the event. If it is a stakes event, the BHRA determines the scale of weights just like the Jockey Club does in America. Success in betting a Listed Race involves an understanding that the horses involved are of a high caliber. As a result, they will tend to run true to their recent form. What you see in the past performances is generally what you will get when the horse competes. This doesn’t mean that picking a winner in a Listed Race is simple. It is not. The reason Listed Races can be hard to handicap is that almost every horse in the event will have a legitimate chance to win. There will be few, if any, horses that the handicapper can immediately eliminate from contention. Larger fields, however, mean the potential for larger payouts. Horses will generally pay much better odds. The best way to bet a Listed Race is to consider multiple factors. Speed, pace, and form are all useful. So is class. You might also want to explore how the trainer performs in similar races. A horse trainer with a high win percentage can often be a good bet in the UK. The same can be said for jockeys. You should give added consideration to jockeys that win 20% or more of their races. Do you think you have what it takes to win at an online racebook? 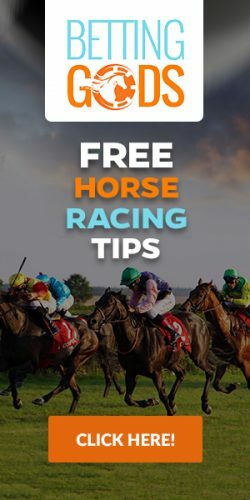 You can bet Listed Races online when you sign up for an account with one of our recommended racebooks. You’ll get access to a large number of tracks, free past performances, and more.